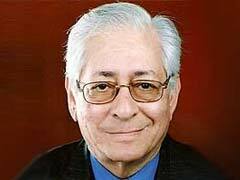 Former Attorney-General of India & eminent jurist Soli Sorabjee will act as your ombudsman on NDTV. He will provide an independent perspective on our coverage & investigate any viewers complaints regarding NDTV. E-mail your questions for Mr Sorabjee to ombudsman@ndtv.com . He will review, investigate & respond to viewers by e-mail & advise NDTV on his findings. NDTV is pleased to announce that former Attorney-General of India and eminent jurist Mr Soli Sorabjee has accepted our request to be an Ombudsman who will provide an independent perspective on our coverage and investigate any viewers complaints regarding NDTV. This is the first time in Indian television that an Ombudsman has been appointed by any channel and is part of NDTV's constant efforts to maintain highest possible standards of integrity and credibility. Mr Sorabjee in his honorary position will be entirely independent from NDTV and will investigate any complaints viewers may have about NDTV's coverage. Sonia Singh, NDTV's Editorial Director and President of the Ethics Committee said, "Every day, we in the media face new editorial challenges regarding journalistic boundaries and we are delighted that Mr Sorabjee will, with his unchallenged integrity, be able to provide much needed insight and advice. " Speaking on his appointment Mr KVL Narayan Rao, Vice Chairperson NDTV Group said, "Mr Soli Sorabjee is an independent, highly respected, highly regarded legal luminary, with years of experience in handling issues relating to freedom of expression and freedom of the press and censorship. We are delighted he has agreed to be the Ombudsman for NDTV." Mr Vikram Chandra, NDTV Group CEO and Executive Director added, "NDTV has always been committed to the highest standards of integrity and balance in its news coverage and we have now decided to take that one step further by appointing an independent Ombudsman who can adjudicate on any issues that may come up in the future." Soli Sorabjee has had a distinguished legal career, having been appointed both Solicitor General and Attorney General of India, and has served a number of years in these appointments. As an eminent legal luminary he has appeared and argued several cases of constitutional importance in the High Courts and in the Supreme Court of India, relating to fundamental rights in the Indian Constitution, particularly issues relating to freedom of expression and freedom of the press, censorship, independence and accountability of the judiciary and scope and limits of judicial review. He has also appeared and argued for the Government of India in the International Court of Justice at The Hague regarding Pakistan complaint about aerial incident. He was appointed by the United Nations Human Rights Commission as Special Rapporteur to report to the UN General Assembly on the human rights situation in Nigeria; he was appointed as Personal Envoy of the UN High Commissioner for Human Rights to report on the human rights situation in East Timor to the High Commissioner and has been a Member of the UN Sub-Commission on Promotion and Protection of Human Rights as well as a Member, National Commission to Review the Working of the Constitution. In addition to delivering several lectures on different aspects of constitutional and administrative law and in particular on press freedom, independence of the judiciary, judicial activism, ethics in democratic societies, tolerance and democracy, Mr Sorabjee has an active interest in music and literature, especially poetry and jazz.